Just as I was about to give myself a pat on the back for having a brand new post all ready to go today, I realized, that somewhere amongst my little blogging hiatus, I completely missed a pretty big milestone that happened over here, which is that this blog has been around for a full year. A full year! I think I'm just going to go ahead and give myself that pat on the back after all because I'm actually pretty impressed that I've kept this going for as long as I have. You see, me and hobby's don't usually have the longest of track records, but I guess that just confirms that this blog means more to me than just some regular hobby. I've seen a lot of people do big giveaways or talk about what they've learned throughout their time of blogging when their blogs reached certain milestones, so I sat down and tried to figure out what I wanted to do today, because anniversary's or birthdays or whatever this milestone is considered should be celebrated a little differently. And while I wish I had a list of things to share that I've learned, the truth of the matter is, I'm still learning every single time I come here, which I'm sure makes anyone who doesn't blog scratch their head in confusion with that sentence because blogging seems pretty simple enough, especially when you're lumped into a "lifestyle" category like I am. But it really is a lot of work, a lot more work than I thought it would be. But it's also been so, so much more fun that I thought it would be, and I can honestly still say that a year later. When I skim back through my older posts, some of them feel like they were written yesterday, while others feel like they were written years and years ago. I've shared vacations, lots of weekend recaps, some embarassing stories, makeup obsessions, some things that were heavy on the heart and, believe it or not (not, for those who know me), even some recipes. And while this blog hasn't captured everything over the last year of my life, it has captured a lot of it, and I will say that's been pretty incredible to look back on. What's also been incredible throughout the last year is some of the people that I've "met" through this blog and the great support that I've gotten from them, even when I've never actually met them at all. If you stop and think about that for a second, that really is amazing (and makes my heart have all of the happies). So, with that said, there is one thing that I wanted to make sure I did today, and that was to thank you all for following along with me over the last year. Before I started this blog, I never really understood why bloggers thanked people for reading because I guess I just assumed that people should blog because they wanted to, regardless if anyone was actually reading or not. But, the one thing I have learned over the last year is that it's the positive and supportive people who are reading and interacting with you that truly makes blogging even that much more enjoyable. So, a big thank you to YOU!! 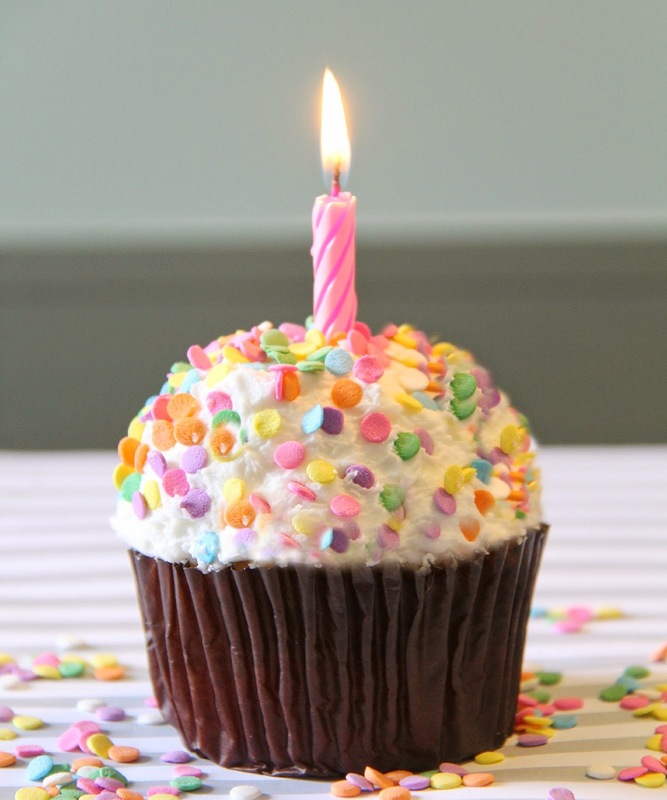 Happy one year, blog! Now, let's see if we can keep this going for another great year!